You probably noticed we haven't posted since Saturday...we needed a few days to sulk and move past what happened Saturday night. 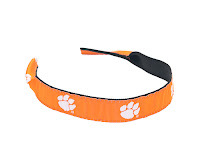 We can't let that game dampen our spirit - especially since it's almost December (!!!) and Christmas is right around the corner. 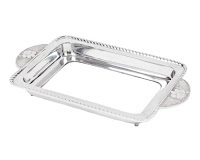 Raise your hand if your Christmas shopping is done. Yeah... I didn't raise my hand either. 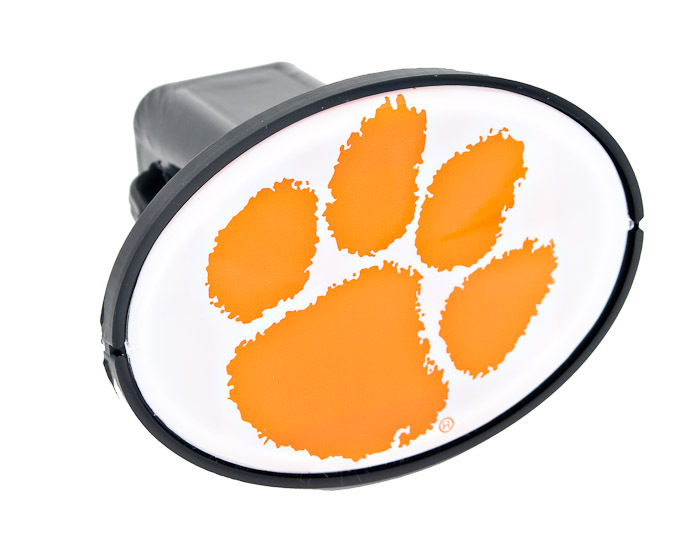 That's ok, we still have time to get great gifts for those lucky people on our Christmas lists...especially the Clemson fans on your Christmas list. 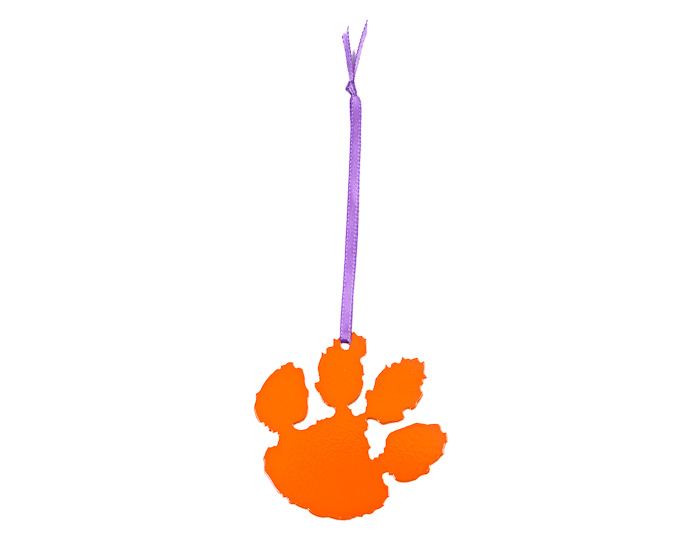 If you haven't yet, please check out family-owned The Sassy Palmetto -- your one stop shop for unique Clemson gifts that are great for entertaining and decorating. 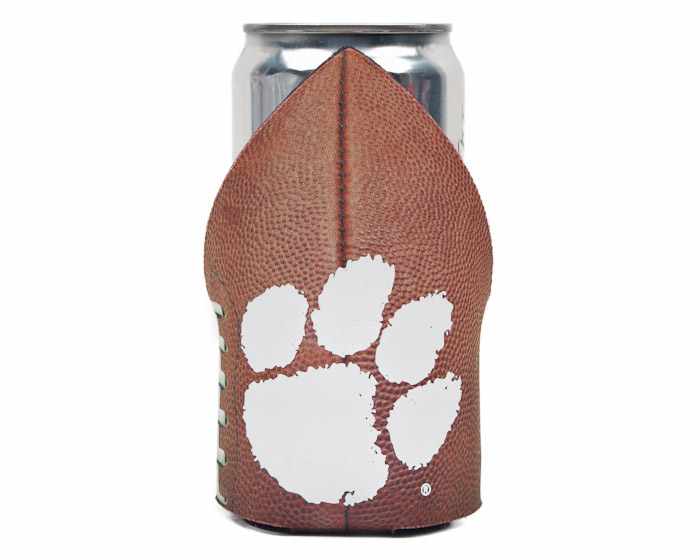 This wine glass will turn instantly add class and style to your tailgate or party...love it. 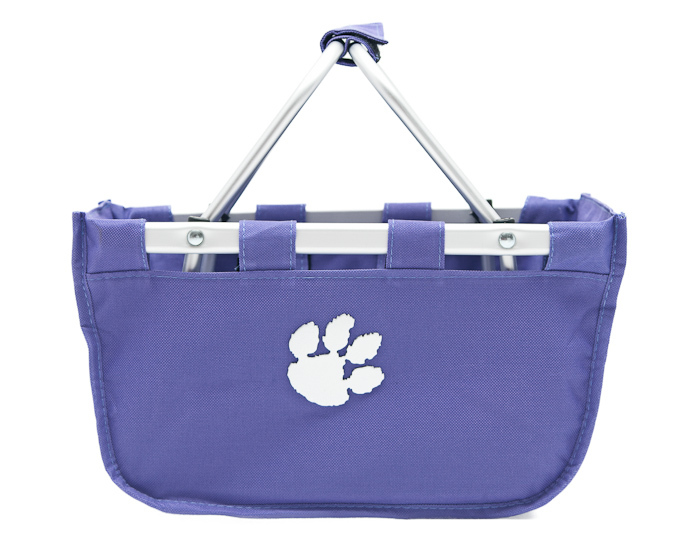 Maybe you're the one who hosts the tailgate...why not get the people who always stop by your tailgate some great Clemson tailgate accessories -- the purple basket is great for hauling snacks and drinks to the tailgate (it's about time they brought some food to your tailgate, right?). 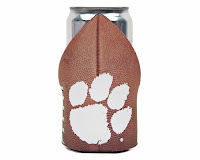 You can also find some great stocking stuffers at The Sassy Palmetto as well - koozies, sunglass straps, and adorable and unique clemson ornaments. You can find great gifts for your Clemson fan friends who already have everything else 'Clemson' themed. 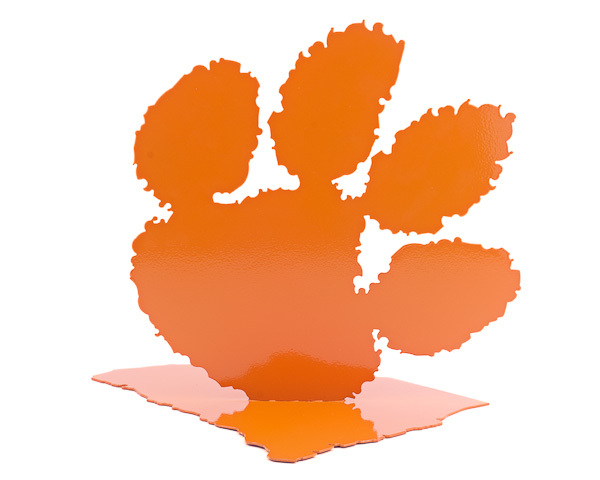 These metal tiger paw stands and yard stakes are great gift ideas. This vintage Clemson program calendar is such a neat gift idea - who wouldn't want this hanging in their office? And I'm sure you'll agree with me that men are the toughest to shop for...ME: "Hey Dad, what do you want for Christmas?" DAD: "I don't know... eh... nothing...I don't need anything." Sigh... Enter The Sassy Palmetto to the rescue... they have great gifts for the men in your life. 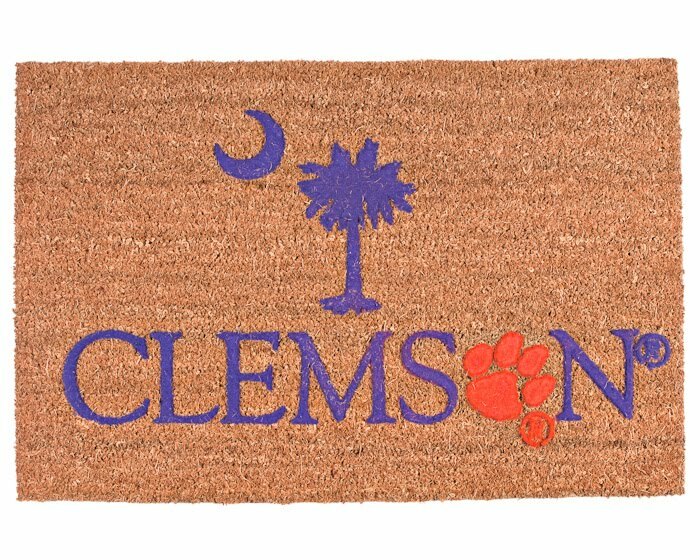 The Clemson trailer hitch cover is cool, or gift this Clemson doormat -- perfect for their garage. 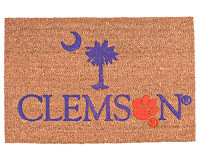 Start your shopping engines - The Sassy Palmetto is having major sales right now with items up to 40% off. While shopping for gifts for your family and friends, enter in today's giveaway for a chance to win a gift for YOU! 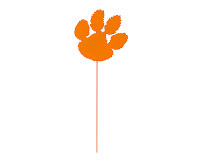 One lucky Clemson Girl reader will win not one, but two prizes from The Sassy Palmetto. You could win a Mini Market Tote ($21.99) plus a Tiger Paw Ornament ($8.99). ‘Like’ The Sassy Palmetto on Facebook, then comment on their Facebook wall with "Clemson Girl sent me! 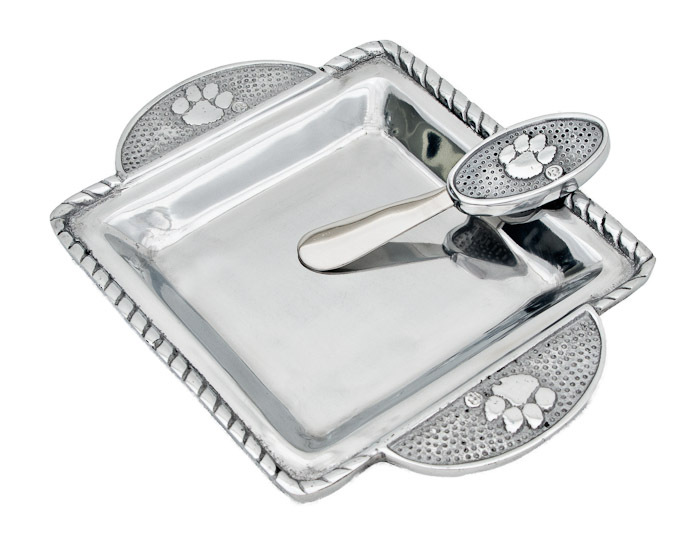 "(1 entry). 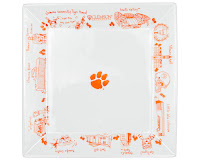 Follow the Sassy Palmetto on Twitter, then tweet about this giveaway – include a link to this post and copy @SassyPalmetto and @clemsongirl (1 entry). 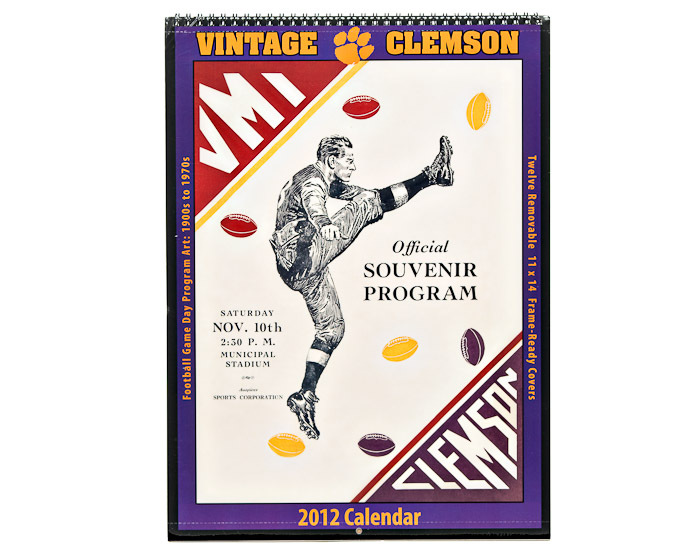 Share this giveaway on Facebook, then comment on this post and let us know you shared (1 entry). 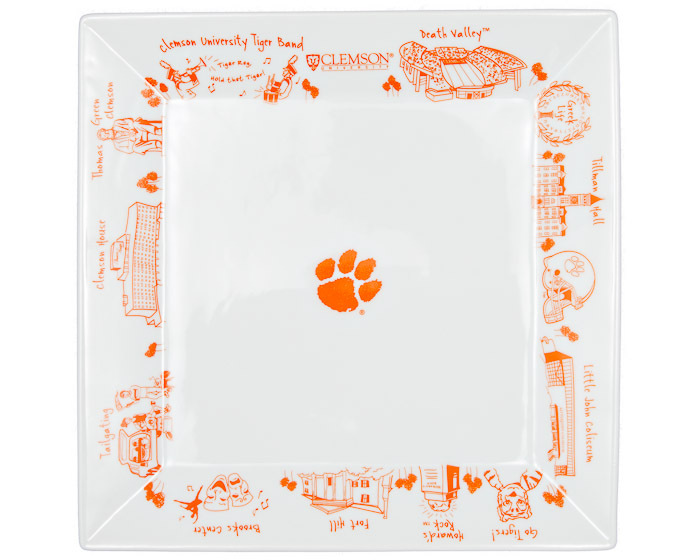 Email two friends about this giveaway – include a link to the post and copy us (clemsongirlblog@gmail.com) on the email (1 entry). Deadline for all entries will be tonight at 7pm EST. We will compile all of your entries, randomly draw a winner and announce the winner back on the blog later tonight around 8pm EST. 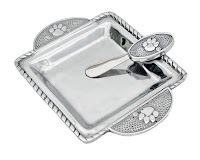 The winner will have 48 hours to contact us or we will draw a new winner. 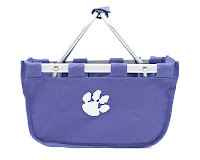 I shared about giveaway on my FB!